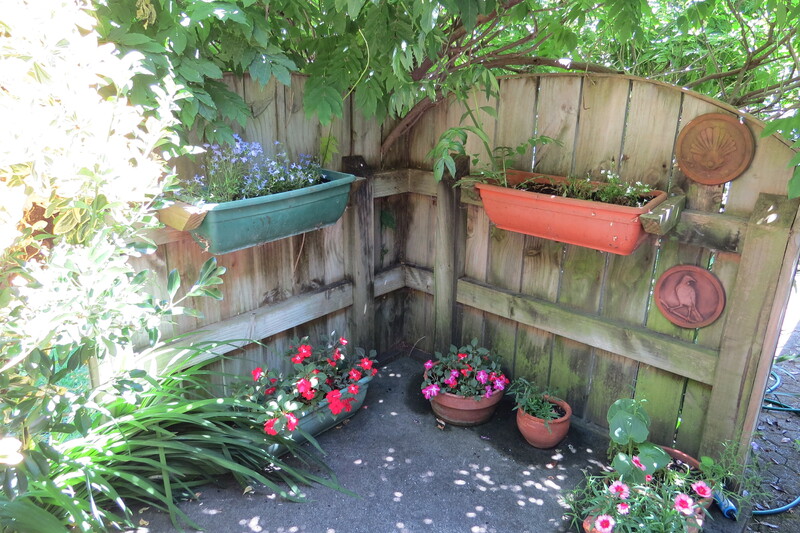 Our garden is thriving beneath the hot summer sun for my last garden post for the year. The sweet peas self-seeded in the garden where we planted them last year. They make a lovely show and are great for picking to put in a vase. The more you pick them, the more they flower. Our orange tree is laden with fruit that is just ready to start picking. We use the rosemary on baked potato wedges, and for adding to food on the barbecue. 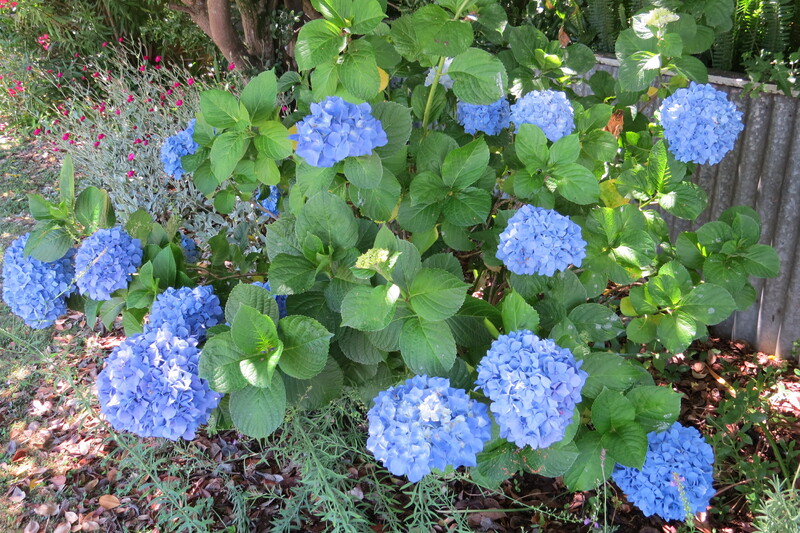 The hydrangea in our front garden is such a beautiful shade of blue. 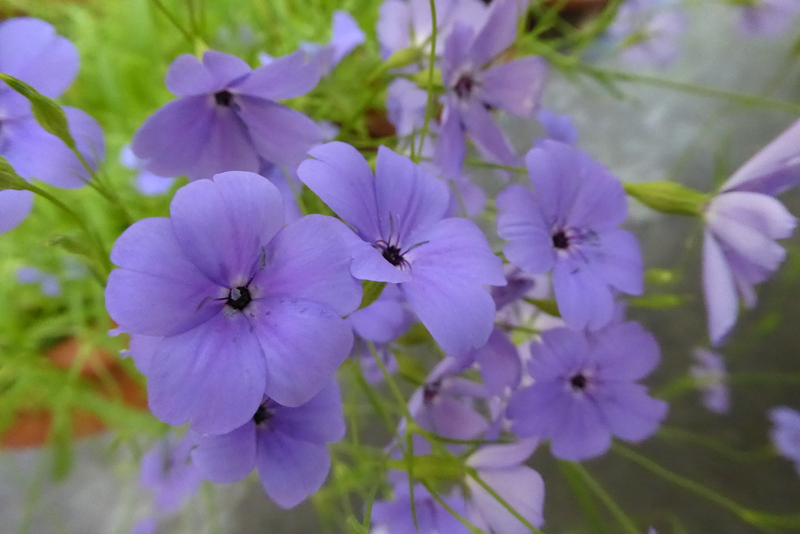 I bought a punnet of this pretty little plant from the garden center and planted it in pots. It is called sisyrinchium. 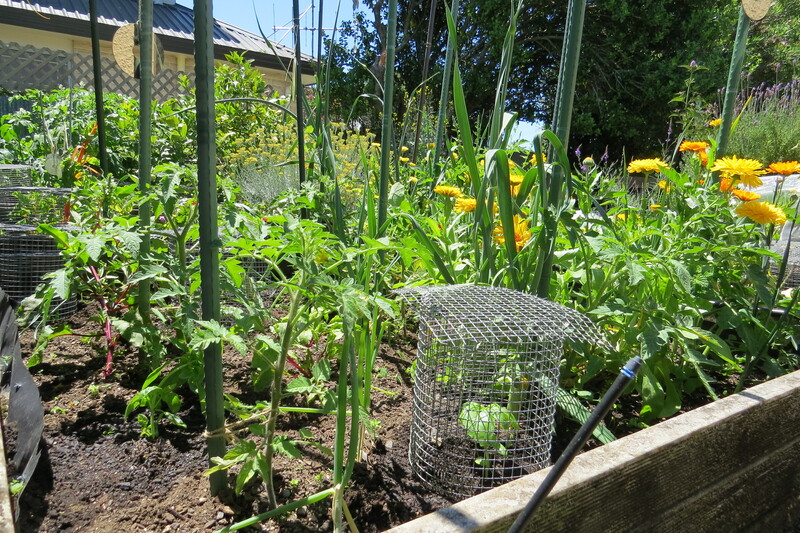 The veggie garden is thriving. We have been picking broccoli, cauliflower, cabbage, spring onions, kale, spinach and lettuces, as well as lots of herbs. We planted potatoes for the first time this year and I can’t wait to see how they turn out. I also planted tomatoes, beans, beetroot, carrots, basil, cucumbers and pumpkin. 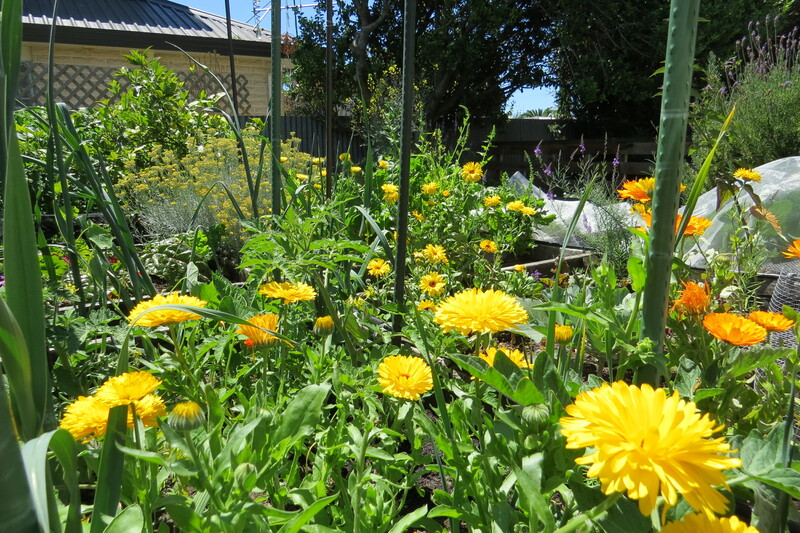 Calendulas self-seeded throughout the veggie garden. 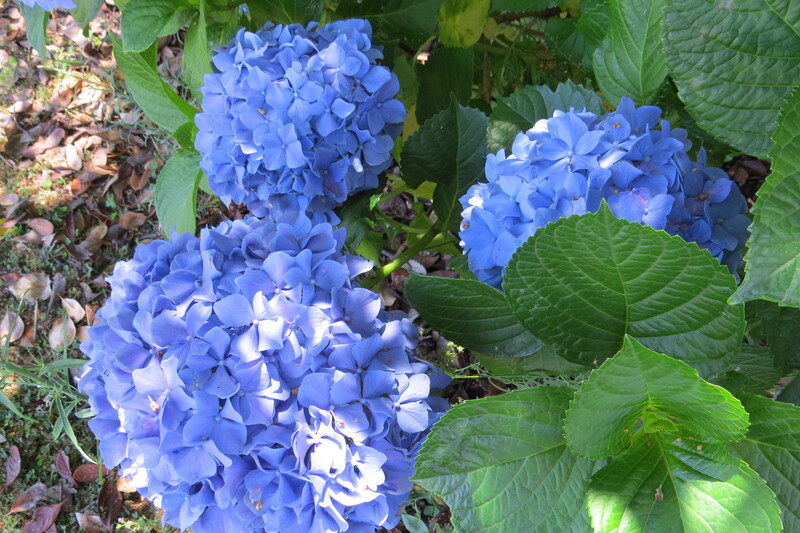 Although the flowers are edible and can be added to salads, I have never tried eating them. I do dry the flowers, though, to make infused oils for use in hand creams and body lotions and lip balms. 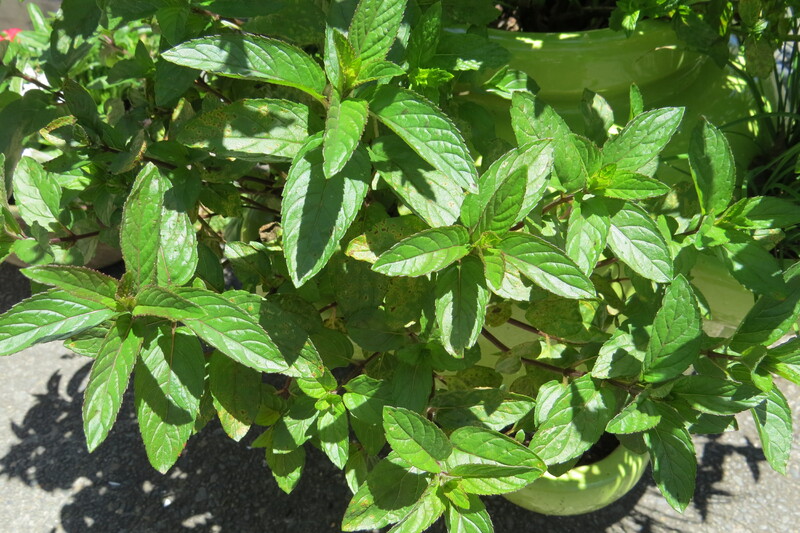 I bought a chocolate mint to plant in a pot. Amazingly the leaves taste exactly like peppermint chocolate and are great for adding a chocolate mint flavour to biscuits. I love berry season. Our strawberries have done really well this year. 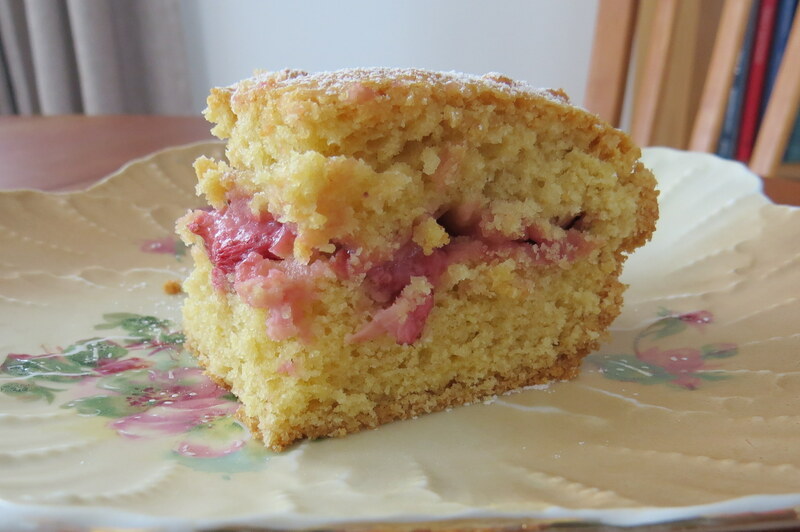 This strawberry shortcake is one of my favourite desserts. It is delicious served warm with ice cream, or served cold for afternoon tea with a cup of coffee or tea. Preheat oven to 180°C. Line a deep-sided baking dish with baking paper. Cream the butter and sugar together until light and fluffy. Add the eggs, beating well after each addition. Sift the flour and baking powder together and add to the creamed mixture. Mix until a soft dough forms. Spoon half the mixture into the bottom of the baking dish. Press down to evenly spread out the dough. Halve or quarter the strawberries (depending on their size) and spread them over the dough. Spoon over the remaining dough and press lightly with the back of a spoon to spread it evenly. Bake for half an hour until golden brown on top. Serve warm or cold, dusted with icing sugar. 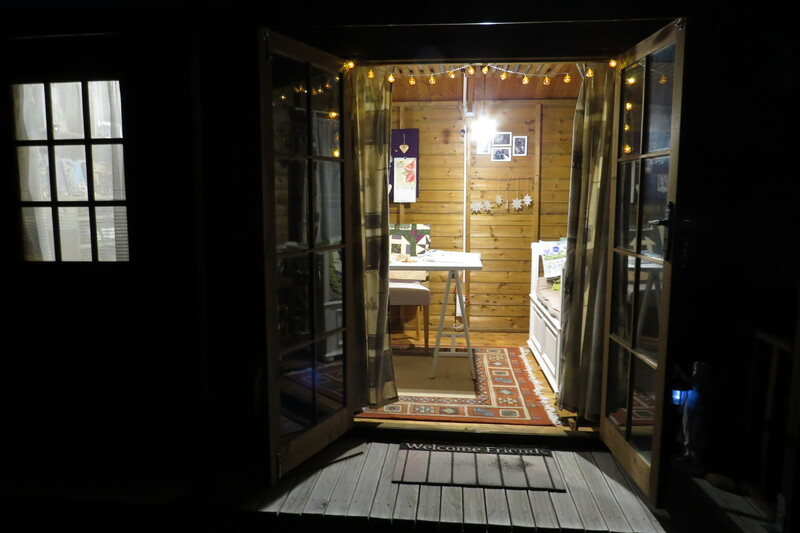 We hung fairy lights across the front of the garden studio to give it a festive feel. Wishing everyone a very merry Christmas and happy holidays! November is a lovely time in the garden. Late spring and everything is green. 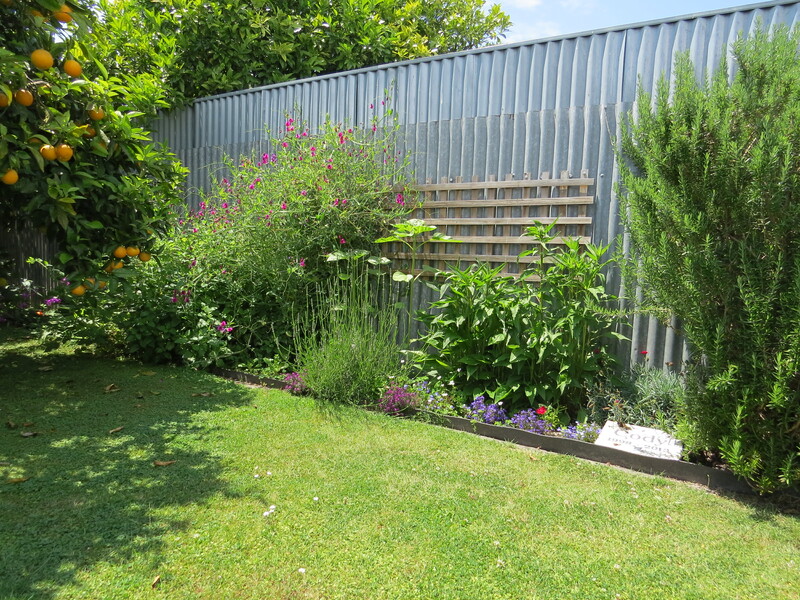 Things are beginning to grow quickly now, including the weeds! 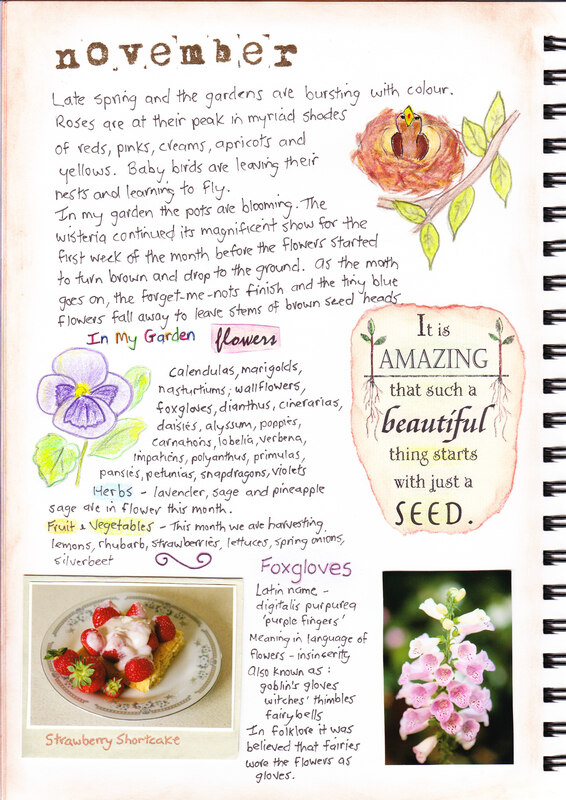 The gardens are bursting with colour, and my favourite flower, the foxglove, is blooming beautifully. 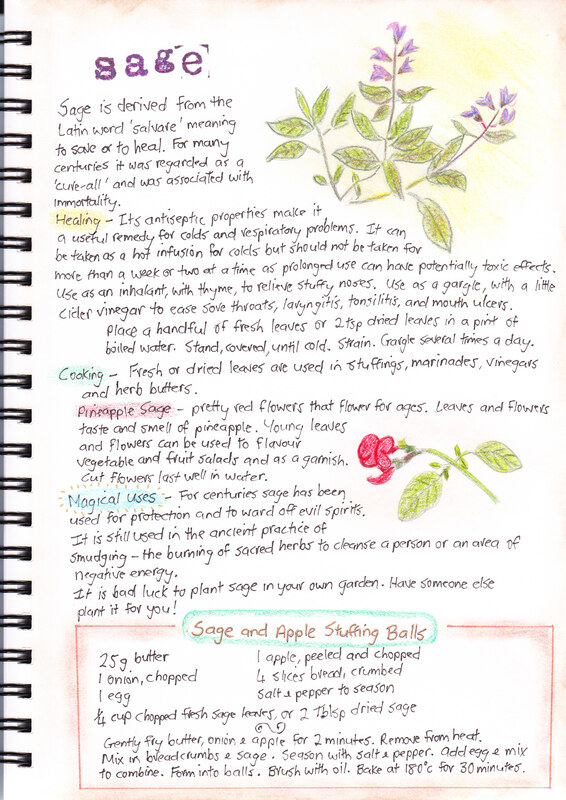 The sage bush is growing nicely and should have plenty of leaves to pick next month for making sage and apple stuffing balls to have with our Christmas dinner. 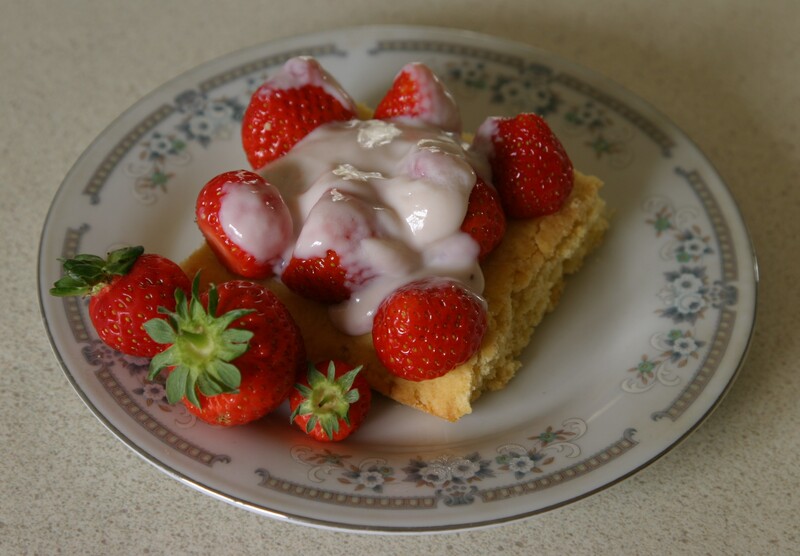 Our strawberries are prolific this month, giving me an opportunity to make one of my favourite desserts – strawberry shortcake. It is a quick, easy recipe, and very delicious! Sift flour, baking powder and salt into a bowl. Rub in the butter. Beat egg and sugar until thick, then mix into dry ingredients. Knead into a ball. Press into a greased or paper lined sponge roll tin. Bake for 20 minutes at 190ºC. Top with strawberries and serve with yoghurt, whipped cream, or ice cream.